The Mughal Queen Nur Jahan is one of the prominent women in Mughal history. Even then, there are hardly enough historical sources that cover her accomplishments. 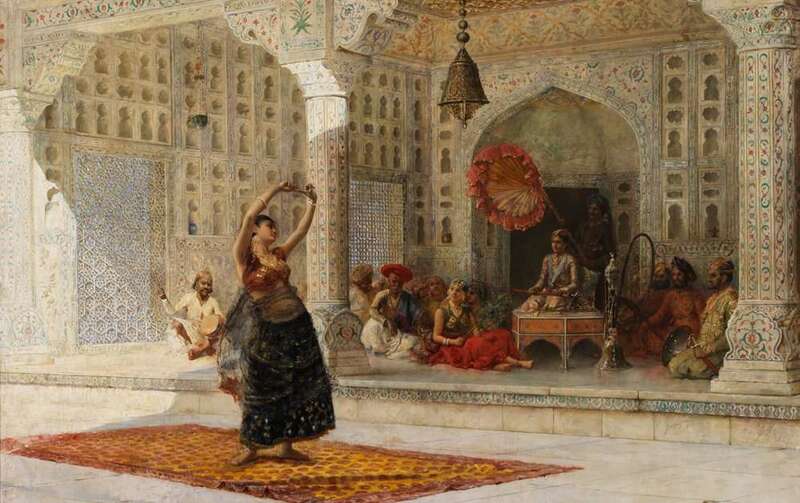 But a painting from the Rampur Raza Library gives us a look into Nur Jahan’s achievements as a skilled marksman, her tactics as a military strategist – and of course, her courage. She killed 4 tigers with 6 musket shots sitting atop an Elephant [consider the elephant would not have been standing still at the sight of tigers!] For a woman in the 1600’s – this was completely unheard of! Did you know killing a tiger was only considered the prerogative of the sovereign? The fact that Nur Jahan as a Queen hunted tigers tells us about her power in the court, which was almost equal to that of the Emperor. 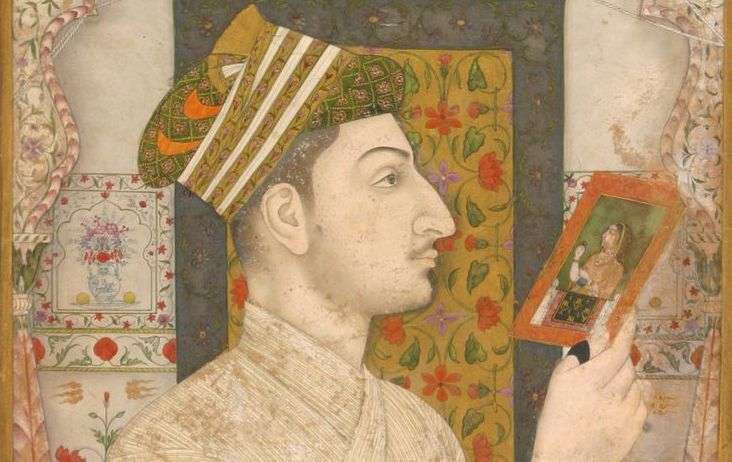 The Tuzuk-i-Jahangiri reveals Nur Jahan’s encounters with the rifle, adding that she needed only one shot – while Jahangir’s skilled marksman Mirza Rustam missed three or four, shooting from an elephant. This portrait of Nur Jahan was painted by the court painter, Abul Hasan. In the painting, she is dressed as a man, holding a musket. If it weren’t for her body structure and henna stained feet, you would most likely take this to be a ‘nobleman’ and not a Queen! Zooming in, you will find, that she is not just ‘holding’ the rifle, but is actually loading it. This definitely speaks volumes of Nur Jahan’s independence. Where did she learn how to use a rifle? Does the thought come to your mind? The thing about a matchlock-musket is, that you’ve to use both hands to keep the gun steady & your eyes on the target. Now imagine Nur Jahan on a moving elephant, not holding on to anything for support – and aiming perfectly! Isn’t that such an awe-inspiring woman? By the time Jahangir came to rule the Mughal Empire, muskets had emerged to be a powerful tool for combat. Nur Jahan’s skilful use and mastery over this tool, indicates her power as a warrior-queen too. The Queen’s shooting skills came to be displayed yet another time during a riverside battle with Mahabat Khan. Khan was the chief commander of the Mughal army and his rebellion is a popular episode in Mughal history. When he held Jahangir captive, it was Nur Jahan who went full force into battle, leading her army. It is believed, that she lasted in battle longer than her brother Asaf Khan. Throughout the Islamic world at the time – across empires (Mughal, Ottoman, Safavid) , a painting such as this had never been made or seen! Nur Jahan, with this portrait, definitely increased the repertoire of activities available to women [for in the later years, we see women hunting in paintings]. Nur Jahan’s reign interestingly, coincided with the rise of Mughal Art and Architecture. One wonders then, if this portrait was commissioned by her – or was a piece of the artist’s own observation or visualization of the stories he heard. Compared to other portraits, or paintings of women, this particular one is bold and raises so many questions: We wonder, why Nur Jahan’s power couldn’t have been depicted in a more feminine light? Would the painting have a different effect on us had her hair been open? How were other noblemen in the court reacting to this? 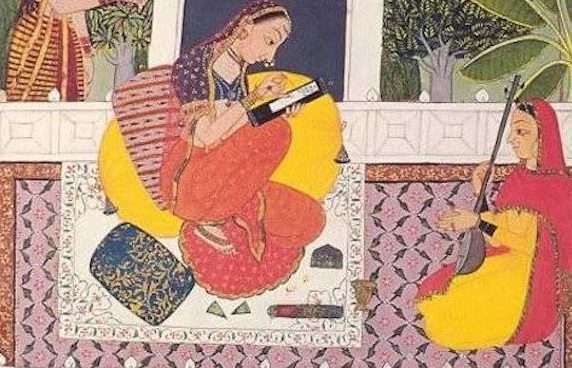 To decode more of Nur Jahan through objects and art, here’s a podcast that we guarantee you’ll enjoy! It features Ruby Lal, author of ‘Empress: The Astonishing Reign of Nur Jahan’ (2018). In the podcast, she uses 6 objects to tell us about the powerful Empress Nur Jahan! Though she was one of the most influential leaders in 17th century Asia, for centuries her legacy has been reduced to a love story that ends where her real adventure began–at her marriage to Emperor Jahangir. What’sHerName women’s history podcast is hosted and produced by sister-professors Olivia Meikle and Katie Nelson. Committed to reclaiming forgotten history, What’sHerName tells the stories of fascinating women you’ve never heard of (but should have). Through compelling interviews with experts, writers and historians, Katie and Olivia bring to life the “lost” women of history. Fascinating and funny, thought-provoking and thoughtful. What’sHerName restores women’s voices to the conversation and we’re so grateful to them for this contribution to our campaign #TheseMughalWomen. We highly recommend listening to this podcast in class. Refer to the critical questions raised about the portrait above. ‘The Mughal Empire’s Contribution to Artillery and Warfare’. Explore further and draw comparisons with women and queens in world history during the 16th century. Look out for our News-Letter every week!